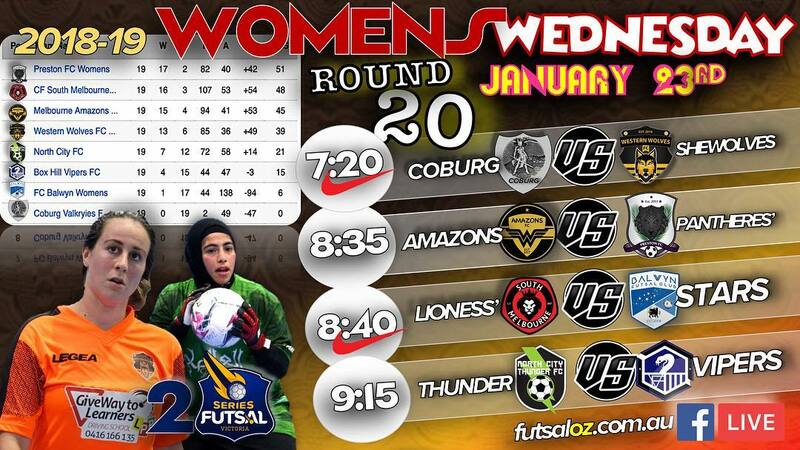 Our first game of the round saw Coburg Valkryies looking to get themselves a win as they took on Western Wolves who were firmly in the top four. A strong first half from the Wolves put the game to bed early as they fired home six unanswered goals, with Daneilla Ilijoska grabbing four goals and Mary Hubeek a brace to have the points wrapped up at the break. 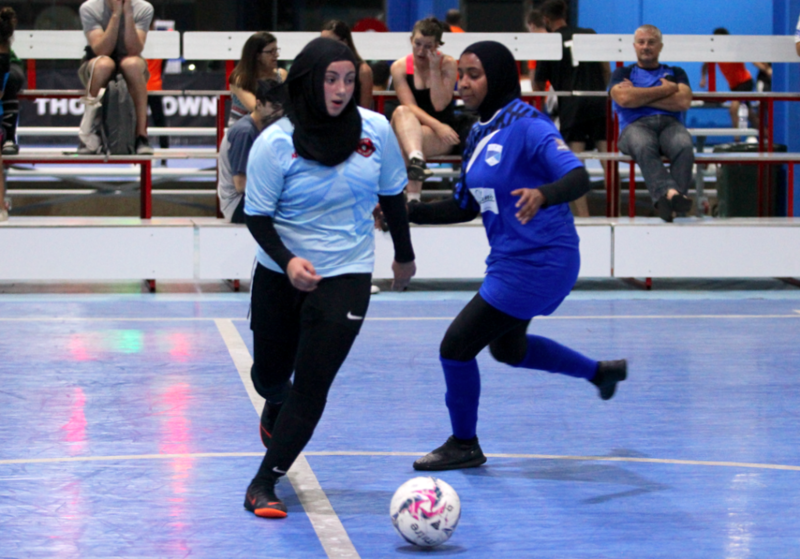 The second half was much tighter as the Wolves struggled to find the net and kept Coburg at bay through the brilliance of Iesha Atik in goals. 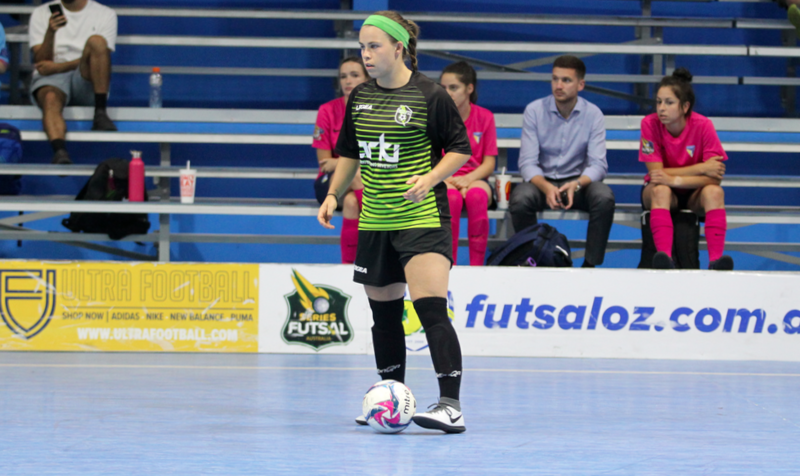 They would strike again through as Hubeek completed her hat trick to seal another win and continue their strong end to the season. 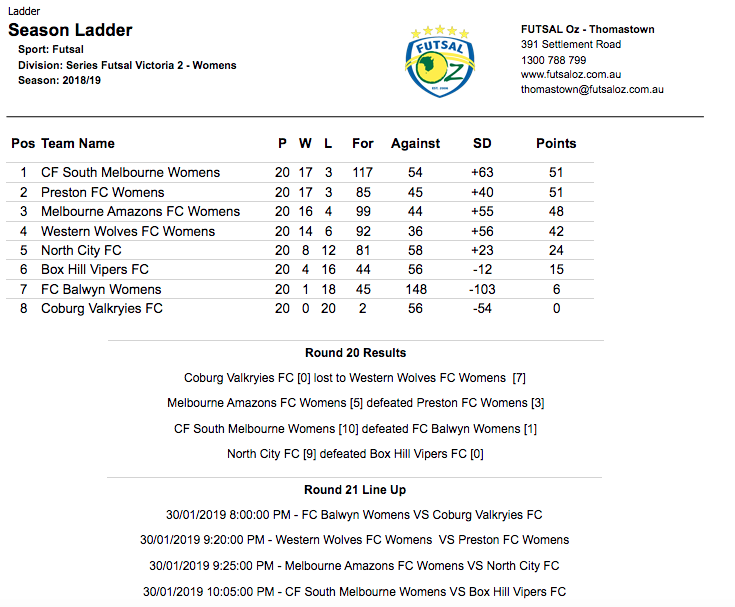 Next up saw an in form Melbourne Amazons take on top of the table Preston. 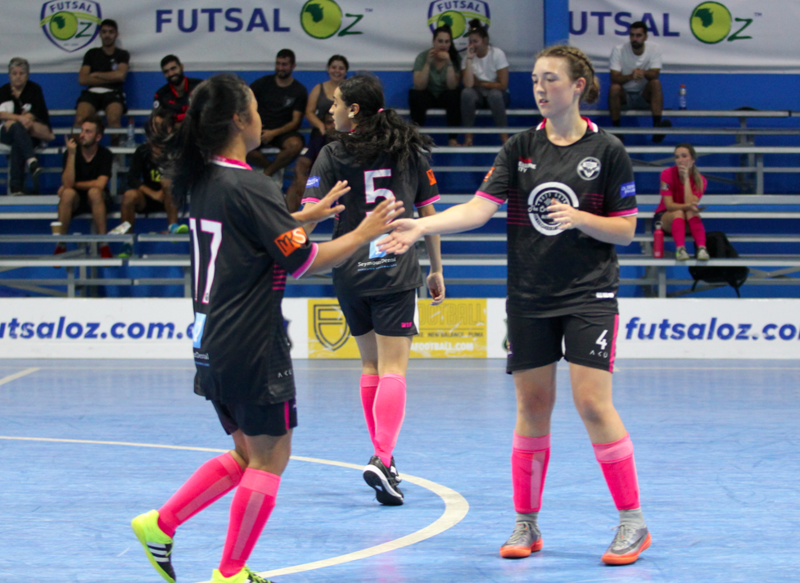 In a tight first half the Amazons edged the scoring as Mariella Bagang & Deidre Bugraaf found the net before Leia Cartanos ensured they halved the deficit at the break in what was a tight game. Preston came back hard the second half trying to overturn the deficit but every time they found the net Amazons had an answer as they ran out 5-3 winners in the end with Aliesha Elker and Bagang both ending the game with a brace a piece. Next up saw South Melbourne take on Balwyn with a chance to go top of the league. It was expected to be a one sided affair but a close first half saw South take a 3-0 lead thanks to goals from Nat Italiano, Angela & Jasmine West to have a commanding lead at the break. The second half was a lot more one sided as South added seven more goals to one with Jasmine West finishing with a hat trick and Angela West & Nat Italiano with braces to seal a big win that sent South back to the top of the league with one game to play. The final game of the evening saw North City take on Box Hill as both sides were beginning to find their feet in the league. North City looked a cut above from the start and raced to a 4-0 half time lead thanks to a Sidney Allen brace and singles to Eleanor Horton & Dora Kikianis having them in a commanding position. 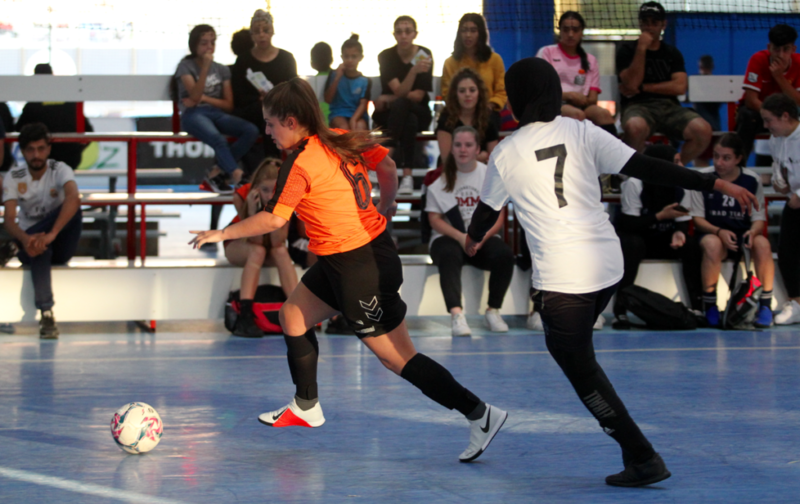 North City ran away with it in the second half as they piled on a further six unanswered goals with a second half hat trick to Janelle Sammut helping her side to a convincing victory as North City look to be a force coming into the new season.